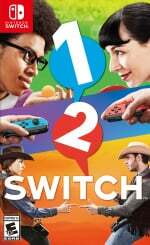 Nintendo Switch launch game 1-2-Switch, at least on the surface, looked like it was going to be what Wii Sports was to the Wii, or Nintendo Land was to Wii U for the new console, showing off the system's fancy new tech and providing a good load of fun in the process. As it turned out, the game lacked the essential long-term appeal needed to stand amongst those previous titles, but Nintendo seems to have found a way to productively re-use its content. 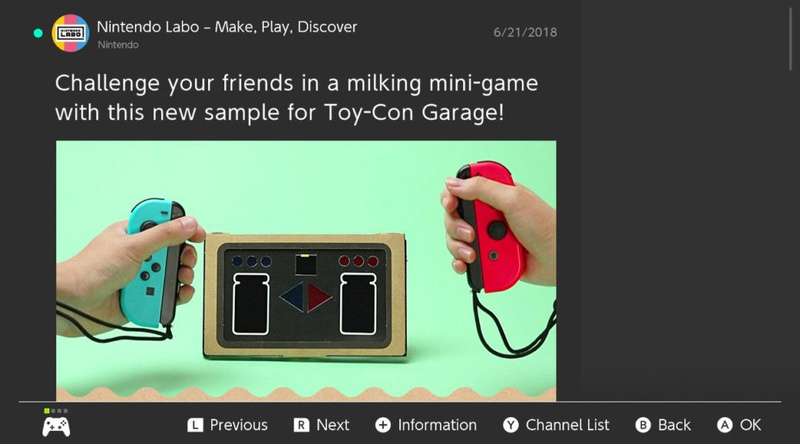 As seen in the Nintendo Switch's news channel, a new sample for Nintendo Labo's Toy-Con Garage has arrived. By following the link in the news article, players can download this new sample to their copy of Nintendo Labo, allowing them to play what is described as a "milking minigame". 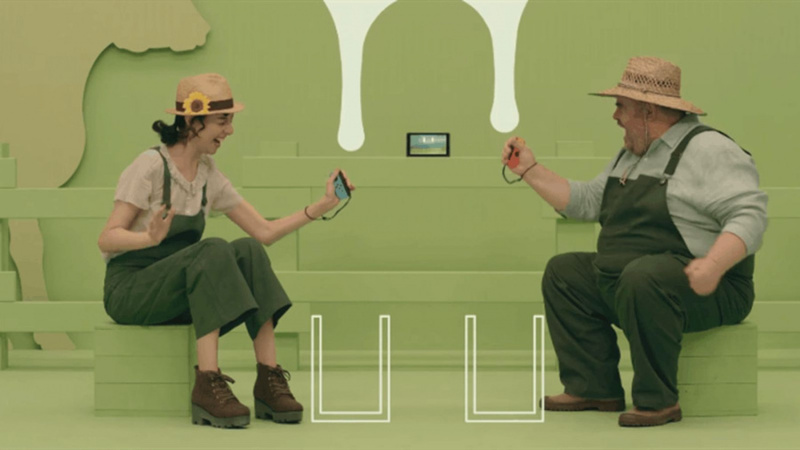 While the on-screen display is obviously very different for Labo's version of the game, the players must hold the Joy-Con in the same manner as that in 1-2-Switch, using the SL and SR buttons to recreate the milking motion. Come to think of it, the simplistic madness of 1-2-Switch's games do seem like a perfect fit for Labo; perhaps we'll see more games inspired by the launch title appearing in the future. 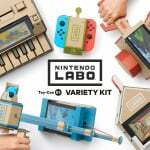 Are you still experimenting with the Nintendo Labo Toy-Con Garage? Will you be trying out this new minigame yourself? As ever, throw us a quick comment below. That was so.... Hilarious ! Let's try with Telephone mini game. One gimmick release cannibalized by newer gimmick release. It's a bit weird considering the milking game doesn't even use Labo-specific features, namely the cardboard. I don’t understand. It just uses a sample box is that correct. Am I missing something. Glad to see Nintendo hasn't lost it's sense of humour. Brilliantly ridiculous. @SmaggTheSmug I'd classify one as a tech demo for the non-gamer and the other as an updated toy re-release from Nintendo's past. But that's just me. Pretty nifty what you can do with the Labo Garage. I'm looking forward to those few developers (well mainly the Deemo guys) who have been tinkering around with the tech for their games. Two wrongs don't make a right, hehe. Now we just need that Senran Kagura: Happy Endings game and the Labo Churner kit 03. @NEStalgia "I imagine them perfectly oblivious (not NCL, not at all, but NoA, yes.)" I think Reggie could be that clueless, he's a walking talking mouthpiece and not much else, but the rest of them know. I follow Trinnen on Twitter, I started b/c of gaming but he's a smart and witty guy, I know he gets it. I knew you were around for most of that conversation but I thought you avoided the back room massage parlor bits. @rjejr Well I'm not terribly interested in you and Thanos's back room massage parlor bits But when 1-2-Milk and Senran Kagura are mentioned in the same thread, it's memorable. @ThanosReXXX And you don't think the Senran Kagura guys haven't actually proposed that crossover yet? @ThanosReXXX Oh, they haven't forgotten those days. I still keep meaning to screenshot that gravure game for rjejr.....those days are alive and well on Switch. Wonder if they took it down yet? I get the feeling it was meant for JP but ended up in NoAs list somehow. It didn't even have any English that I could tell. But it was....well...just the kind of "dating sim text chat" game you expect from Japan, model in black leather included. It was surreal seeing it in the eShop, I wouldn't even expect to see that on the PSN store. @ThanosReXXX "and we went from there..."
I think most people stop following us around that middle part.